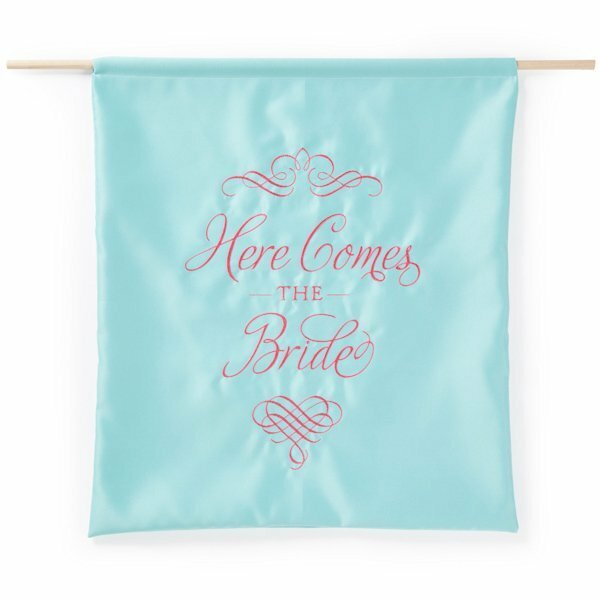 Design your own "Here Comes the Bride" banner by choosing from the 7 different color options and picking the thread color to help you make a grand entrance as you walk down the aisle. 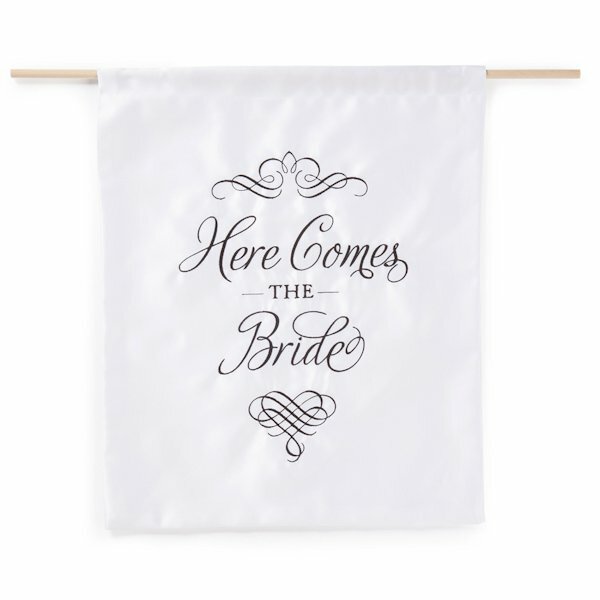 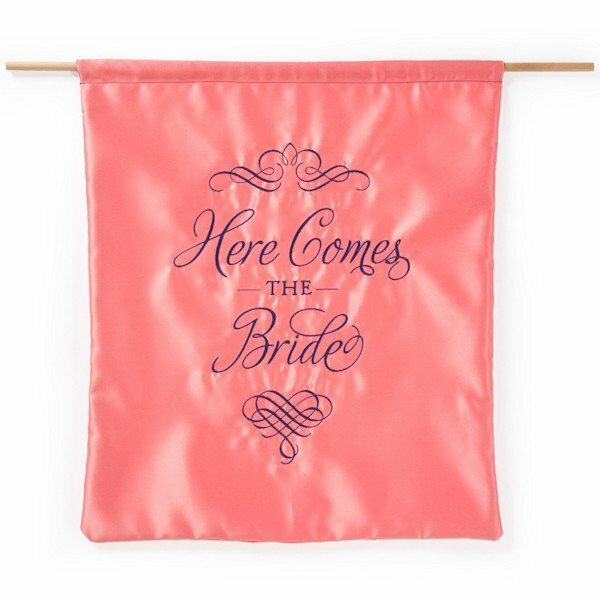 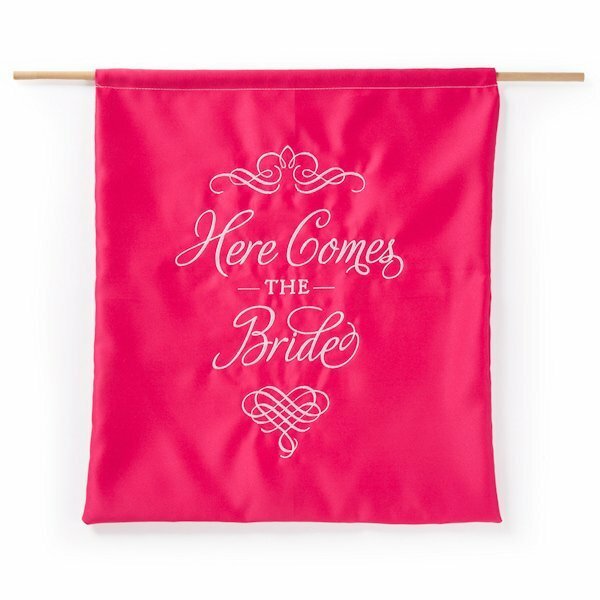 The satin banner is embroidered with scrolls both above and below the words "Here Comes the Bride" and the top of the banner is complete with a wooden dowel to make both carrying the sign and displaying it a breeze. 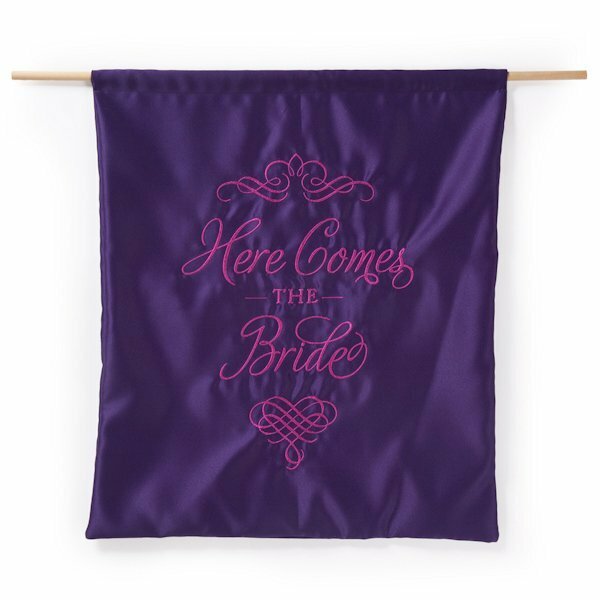 The banners measure 19.25" long by 16" wide. 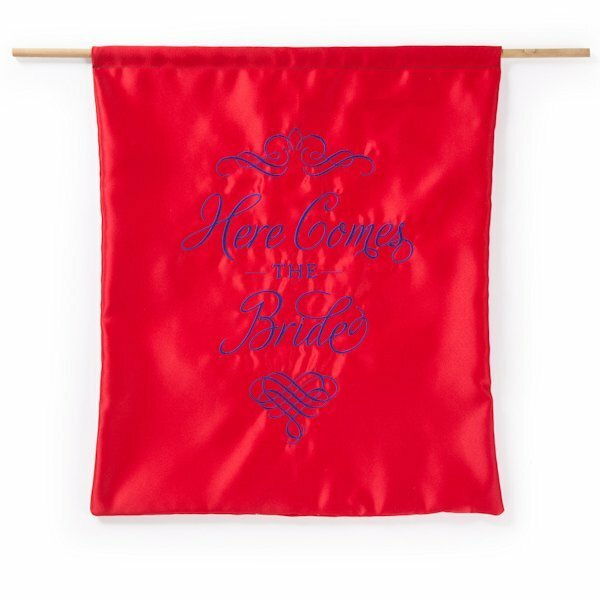 Hello I was wondering if I could change the wording on the banner? 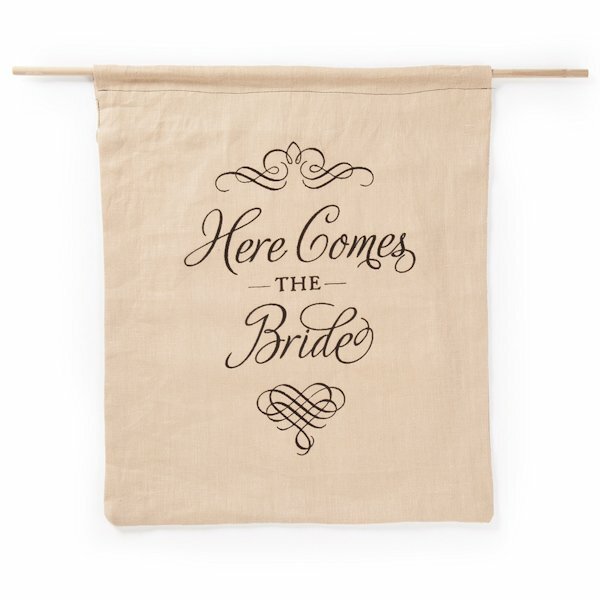 Unfortunately, the text "Here Comes the Bride" in this Elegant Here Comes the Bride Sign (7 Colors) can't be changed. 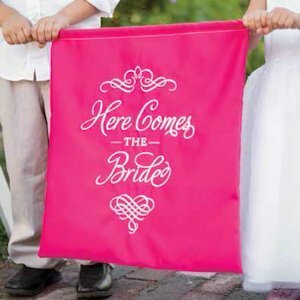 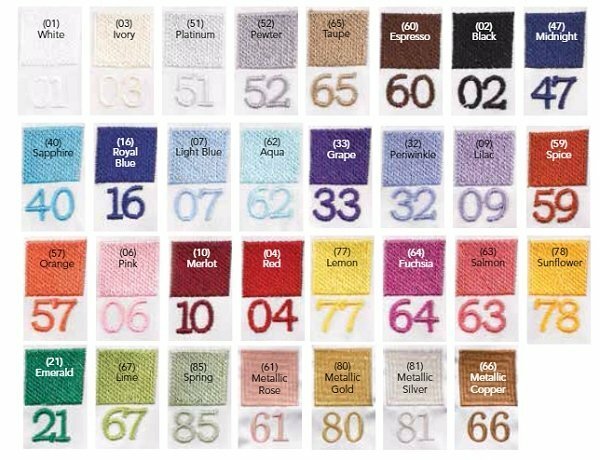 The only thing that you can change is the Embroidery Thread Color and the Banner Colo. To change this, use the designer tool after adding the banner to your cart.